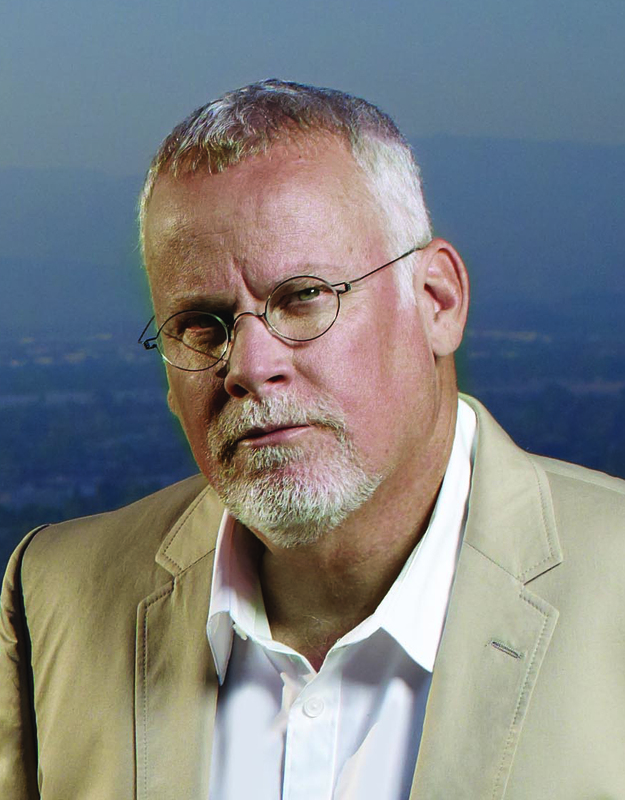 Michael Connelly is the award-winning bestselling author of the critically acclaimed Harry Bosch detective series and the Mickey Haller novels. His latest Harry Bosch novel, The Burning Room, has Bosch setting his sights on a cold case that began a decade earlier when the victim was shot. With the victim having just died, the act is now considered murder, even though the case is ten years old. Bosch has been assigned a new partner, rookie detective Lucia Soto, and with retirement just around the corner, Harry does his best to teach Lucia the ropes of detective work and solve this ten-year-old case. Harry Bosch is nearing the end of his career. Is this the last novel in which we will see him? No. I think developments in the The Burning Room give me some opportunities to take Harry in a new direction. Will we now also be following Lucia Soto's career? I really like her and will bring her back. I always ask myself if I've said all I want to about a character, and with Lucy, the answer is no. There's unfinished business with her. She and Harry connect with each other as dedicated detectives. That was one aspect I really liked about her. Bosch is a police procedural television series produced by Amazon Studios and scheduled for release in 2015. How did this project happen? Harry's had a checkered history when it comes to Hollywood. Early on, there was interest in him. I sold the rights for a film in the 1990s. It was a long-term deal. Even though nothing came of it, I don't regret it, because it was Hollywood money that permitted me to become a full-time writer. It allowed me to focus on Bosch's character in the books, which is a big part of why I'm still able to write about him. It was something of a deal with the devil, but I would do it again. Years went by, and I finally got the rights back. By that time, I'd written many books about Harry Bosch. It seemed clear that if I went back to Hollywood, the best way to tell the story would be in a television series. You know, in Hollywood, word leaks out and Amazon came calling. A partnership was formed. From my standpoint, it was easy and painless. I wasn't drifting around Hollywood, trying to sell Harry Bosch. It all kind of fell in my lap. Beyond the connection to book-selling, Amazon wanted me involved in the TV series. That's quite unusual in Hollywood. Normally, they take a book and say, "Be a good little fella and run along. We'll take care of this." But Amazon wanted my involvement to help nurture the visual recreation of the character with whom I'd spent twenty years of my life. The prospect of participating was very attractive to me, and it was a no-brainer. The first season of Bosch will be ten episodes which can be streamed on television. It will premiere in February of 2015. It'll be a binger's delight, filled with Harry Bosch. What's your involvement in the television series? I co-wrote the pilot with the show-runner. In television, the show-runner is the creative boss. I don't have experience with television, so we wanted to get someone who did and whose creative mindset was similar to mine. We went to Eric Overmyer, who'd worked on The Wire and Treme, and who's worked on other shows I've loved. So, he's the boss -- the show-runner. I'm his lieutenant. He runs stuff by me to get my take and make sure we're on point with Harry Bosch's stories. Harry Bosch is played very effectively by Titus Welliver. I don't recall elaborate physical descriptions of Harry in the novels. How do you feel about this physical representation of Bosch? First of all, you're right. There are nineteen Harry Bosh books, and someone told me if you add up the descriptions of Harry from all of them, it would come to less than three pages. He's very elliptically described over the two decades during which the novels occur. I did that by intention. I write the way I read. I like to imagine and build characters in my head. I trust the readers to build their own visual images. To me, that's part of the wonder of reading. But with television, we have to apply flesh and blood to the character. I'm glad I had a say in the decision about depicting Harry on the screen. I'd seen Titus Welliver in a few shows and felt he had some inner demons in his portrayals, as does Harry Bosch. That's a key trait for Harry. The few physical descriptions of Harry in the books are mere window dressing. The real challenge is for an actor to portray a guy with the inner demons of Harry Bosch. In Titus, I saw the ability to do that. After all the auditions, we decided to go with Titus, and I'm very happy with him. We're six episodes into the filming of the first season, and Titus really owns that part. In the pilot, I noticed flashbacks implying that as a kid, Harry was beaten and abused. I don't recall that from the novels. The novels don't hit it on the head as much as the pilot does, but they do contain references to Harry's growing up in foster homes. It can be inferred that there was physical abuse in his childhood. In writing on the page, you can be a bit elliptical, but on TV, you can't dance around stuff. You either show it or you don't. We decided to show it in the series. In the shift from page to screen, were there any important changes made to Harry Bosch and his world? Yes. Basically, the novels provide a twenty-year palate from which to choose. In the books, Harry ages in real time. If we're lucky and have a successful show, we might have a five- or six-year run. We have more information in the books than we need. We're picking and choosing what we want for the series. For example, the books begin in 1992 with Harry being forty-two years old. In The Burning Room, he's sixty-four. He has a seventeen-year-old daughter in the book. In the show, Harry's forty-eight and has a thirteen-year-old daughter. We move in time for what we need. The first season of the series hits heavily on two books and touches lightly on a third book. To develop the best first season possible, we take a bit from here and there in the novels. And we can create new stuff with our cadre of writers. So we're not going to have a rigorous adaptation of the books. We're using the novel City of Bones as the mainstay for the first season. That story is the ninth or tenth in the Bosch series, so we're not conforming to the order in which the novels were written. We chose the story for the first season that we thought best showed what Harry Bosch is all about, what draws out his inner demons. Will Harry age in real time, assuming the series continues for six years? Yes, he will, because Titus will age. [Laughter.] But it's a smaller microcosm. My books are always set in the year they're published, even in the month they're published. Every subsequent novel involves Harry one year later. With television, it might not be that linear. In fact, we incorporated some later books into this first season in order to transition right into season two and hit the ground running. I understand you're participating in writing the TV series. As a seasoned novelist, how does co-writing screenplays differ from writing novels? It's hugely different on at least two levels. The first is what you lose when you go from writing novels to writing for television. In the books, Harry's a very internal guy. One reason he's been around for twenty years is that people like the way he thinks. In a television depiction, you can't go inside his head as you can with a novel. Everything on TV is about what he says and does, which is how a viewer determines whether or not he's likable. I think Harry has a kind of "Everyman's" sensibility with which people connect. In the books, it comes out in his thinking process, but with television, it's really all about what he says and does. That's a big transition for me. The other aspect is for twenty-five years I've been in a room by myself, writing these books. Of course, I get edited when I turn a book in, but for the year during which I'm writing, it's me against the machine. For the television series, I'm in a room with writers, and all four walls are covered with 3-by-5 cards showing every scene from each episode. It's very much committee work until everything's nailed down and plotted out. Then, different scripts are assigned to various writers who go off and work on those episodes. It's very different from the way I write. I don't even use an outline. Now I can go into a room and see every act and each beat of a scene, an episode, or the entire season right there on the wall. By the time I go off to write a script on my own, I pretty much know everything. How are you adapting to this sea change in circumstances? They say you can't teach an old dog new tricks, but for me, it's been a real breath of fresh air. I feel that after twenty-five years in a room by myself, I'm now writing differently. I'm having a great time with it. I think it's going to carry through in my writing future books. In the pilot episode, Harry seems to be a more edgy guy than in the novels. Was that done as a concession to today's TV audience? In writing a book, you have to connect quickly with your readers. You also have to instill a momentum in your story. In TV, you have to hit the ground running because there's so much else going on. You're right, in the TV series, Harry's edgier than in the books. This was our choice. We chose a story we knew would have Harry connecting with a case at the very beginning of the series. When a homicide detective gets involved with a case that resonates with his own past -- that taps into his inner demons -- he's going to be more on edge because he really wants to find who did this. Dumb question: In The Lincoln Lawyer, Mickey Haller is driven around in a 1986 Lincoln town car. In the pilot episode of Bosch, Harry drives around in an old-model Cadillac. Does this reflect your preferences in cars? No, but I do like the idea of wisdom coming from experience and age. In the opening scene of the pilot, Bosch is sitting in an undercover car -- that old Cadillac. I didn't choose the vehicle; a props person did. But I'll take your question further and say that Harry would never drive a sports car. He'd drive an old, reliable machine. How do you now apportion your writing time while working on a novel and television series? I don't know if it's going to work; we'll have to see. The production company knows my priority is writing books. When we went into pre-production, I wasn't around a lot and was able to finish The Burning Room. When we started production, I was totally dedicated to the series. We'll finish the last episode of the season before Thanksgiving, and after that, I'll be starting my next book. So I'm hoping things won't interfere with each other. So will the next book be a Harry Bosch or Mickey Haller novel? Right now, I believe it will be both. The story will have Bosh, Haller, and Lucia Soto in it. But as I said before, I don't outline. Right now, I have an idea for the novel but won't begin writing until December, so who knows what will come of it? Things change, and I might get hit by the lightening of another idea and just go with that. Mickey Haller is my favorite fictional character. Is another Mickey Haller novel coming? I think what you connect with is that Mickey's more of an outsider. Harry carries a badge and represents the state, but Mickey's outside that rarefied coterie. In some respects, he's almost an outcast, and that can make him very likable. Recently, I've found myself more fascinated by Mickey's stories, and I want to get back to him. I don't know how long I'm going to keep writing, but I see my writing life as orbiting around Harry. There's still a great deal more I can say about him. When I look back at the nineteen Bosch books, at about every sixth one, a curve ball comes that resuscitates and sustains the series. I think that happened with The Burning Room. So I'm excited about the possibilities for Harry Bosch's next decade. Congratulations on another Harry Bosch novel, The Burning Room, and a television series that's sure to be a streaming blockbuster and TV binger's delight. Mark Rubinstein is the author of Mad Dog House, Mad Dog Justice and Love Gone Mad.